We’ve put together this article to help you shop for the best new mattress you can find in New Mexico. If you are looking to purchase a mattress in New Mexico, let us help you. For many, making a major purchase can be a serious headache. The pricier the item, the more difficult it can be to ascertain if the sales team have your best interest in mind or their commission. We surveyed mattress shops across New Mexico and looked for locations that not only offered quality and reliable customer service, but also carried quality products for a wide-range of buyers. We even found a few locations that sell premium organic mattresses free from chemicals. The mattress industry has skyrocketed. Meaning, you’re the person with the power. We recommend checking online, and in a few locations before making that final decision. A number of mattress stores will price match or offer discounts simply to earn your business. While you can readily find quality mattress shops in Albuquerque, Santa Fe, and Roswell, expect to find mattress stores across the state of New Mexico in small cities like Las Cruces, Silver City, Gallup, Hobbs, and Clovis. 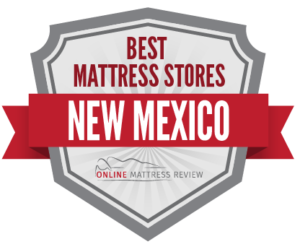 For some of the best mattress shops in New Mexico, check out our listing. Have you ever wondered: Where can I find a mattress in Albuquerque? Well you can rest assured we found some great options in your area. We understand that purchasing a mattress can be a nightmare with price, sneaky salesmanship, and those rarely-honored return policies, so we looked for shops that offered no-pressure sales, a wide variety of options, and great prices. Here’s what we can up with for the best mattress shops in Albuquerque If you are looking for a high quality organic handmade mattress, you can’t beat Sachi Organic. This family-run business has handmade mattresses and mattress accessories for over 30 years. You can purchase directly in Albuquerque and online. The sales team are friendly and won’t rush you into a purchase. For a premium mattress, head here. If you are looking for a mattress and more, check out The Furniture Store located uptown (5343 Menaul Blvd.) We liked this shop for the friendly and knowledgeable staff as well as the relaxed atmosphere. The company offers a range of mattresses and other furnishings for your home. If you take some time you’re likely to find some great bargains. America’s Mattress (3636 Menual Blvd. NE) is located in Midtown. We like this location for the affordability, great customer service, and wide selections. Here’s a tip: head in during a major holiday and you’ll likely to find a deep discount. Trying to avoid the headache and even the backache of purchasing a mattress in Santa Fe? We can help! While purchasing a mattress may not seem fun, if you find the perfect mattress, it can be a game-changer for sleep and consequently your waking life. There is no one-size-fits-all approach to mattress shopping which is why we considered mattress shops that include a wide variety, affordable pricing, and staff knowledgeable courteous people. Here’s what we can up with for the best mattress stores in Santa Fe. Sachi Organics (523 W. Cordova Rd.) again gets our top pick for mattress shops in town, but this time for their Santa Fe location. This family-run business has been created handcrafted mattresses, pillows, and bedding accessories for over 30 years. Yes, these a premium mattresses and so expect to pay upwards to $2,000. However, this purchase will last for years and comes chemical-free. If you need to reclaim your sleep or simply just want to sleep chemically-free, head here. The customer service is also fantastic. For a wide selection of mattresses at a variety of price points head into Denver Mattress (1427 Avenida De Las America). This location offers a number of sizes for all types of people, and the sales team are knowledgeable about their product. If you are in the market for a mattress and more you could try Ashley HomeStore (4440 Cerrillos Road.) where you’ll find quality mattresses, beds, and other accessories. The entire sales team are great to work with and will help you to find a mattress to fit your needs. Wondering where you can find a mattress in Roswell? You’re in the right place. We know that purchasing a mattress can be exhausting, so we looked for mattress stores that offer a range of items, quality mattresses, and great customer service. Here’s what we came up with for the best mattresses in Roswell, New Mexico. Our first pick is White Mattress located in the Broadmoor Shopping Center (1010 S. Main St. #2) where you’ll find a relaxing atmosphere for picking out your perfect mattress. The sales team are not pushy and the company even offers free delivery and haul of your old mattress. It doesn’t get much better than that! The Mattress Shop (3020 N. Main St. Suite F) sells premium mattresses and provides great customer service. We like this location for the good selection of brands, as well as the free local delivery. If you’re in the market for a mattress and more, try Roswell Home Furnishings where you can find custom made pieces and affordable prices. The staff are friendly and work hard to accommodate your needs. That wraps up our guide to the best mattress stores in New Mexico. Good luck shopping for the perfect night’s sleep!